HIGHLIGHTS: The National Forest Service acquired Panthertown Valley in 1989 from Duke Power in a deal coordinated by the Nature Conservancy. Surprisingly, the area is still relatively wild with no blazes on the trails and only a few primitive campsites. However there are an amazing number of waterfalls that are packed into a relatively small area and they many have pools at their base which make for a great place to swim or fish. Just make sure you take a map and compass on your hike. 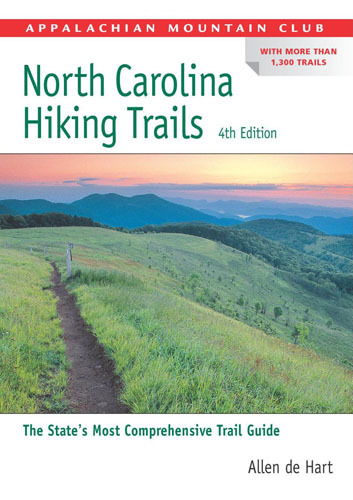 There are many intersecting trails in the area and route finding can be difficult. This loop hike takes you to Schoolhouse Falls then on past the Sandbar Pool up Big Green Mountain and back near Greenland Creek Falls to the Cold Mountain Gap Trailhead. There are outstanding views from the summit of Big Green Mountain but watch your step as the cliff drops off sharply to the valley floor.